Getting to Know Web GIS provides easy-to-follow instructions on how to build web GIS applications using the ArcGIS platform. Redlands, California—The growing popularity of web maps and apps calls for a workforce well versed in building them. 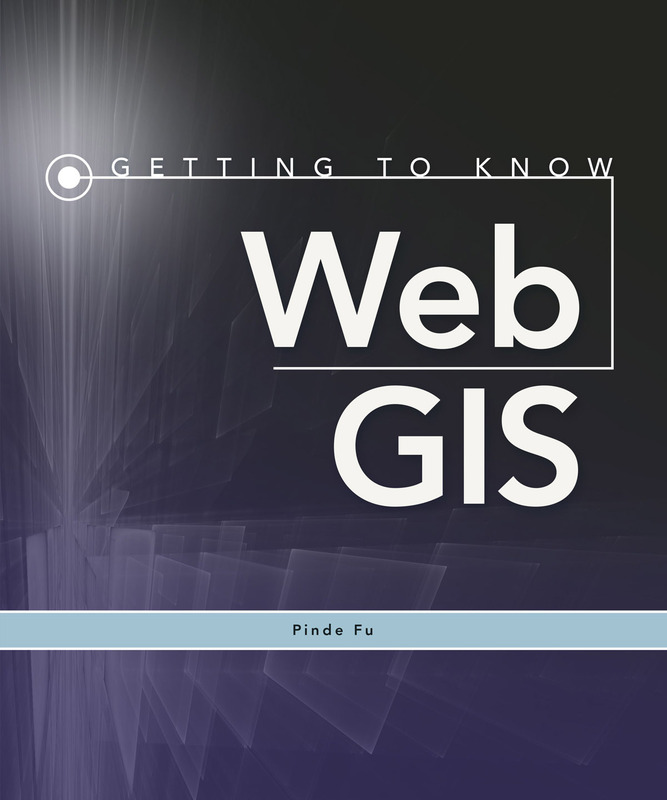 That's why Esri has published Getting to Know Web GIS, a new workbook that teaches students how to use Esri's geographic information system (GIS) technology to create web GIS applications quickly and easily. "Students develop an app in each chapter," said Pinde Fu, author of Getting to Know Web GIS and a senior GIS application developer and project lead at Esri. The workbook is a follow-up to the popular 2010 Esri Press book Web GIS: Principles and Applications, which Fu cowrote with professor Jiulin Sun from the Chinese Academy of Sciences. After learning the basic concepts of web GIS, students were asking for help building web apps, Fu said. "People were asking, 'How do we develop web GIS applications? Do you have a workbook to do that?'" Getting to Know Web GIS is available in print (ISBN: 9781589483842, 392 pages, US$84.99) or as an e-book (ISBN: 9781589484030, 392 pages, US$59.99). The book is also available at online retailers worldwide, at esri.com/esripress, or by calling 1-800-447-9778. Outside the United States, visit esri.com/esripressorders for complete ordering options, or visit esri.com/distributors to contact your local Esri distributor. Interested retailers can contact Esri Press book distributor Ingram Publisher Services.